It's great that more and more vehicles ship with Android Auto these days, but I still find the app offering to be rather limited. I had to wait until last summer to finally get to use Waze instead of Maps, and even today only a handful of software is available on Google's in-car solution – beyond Waze, Spotify's the only other Auto-supporting app I use. 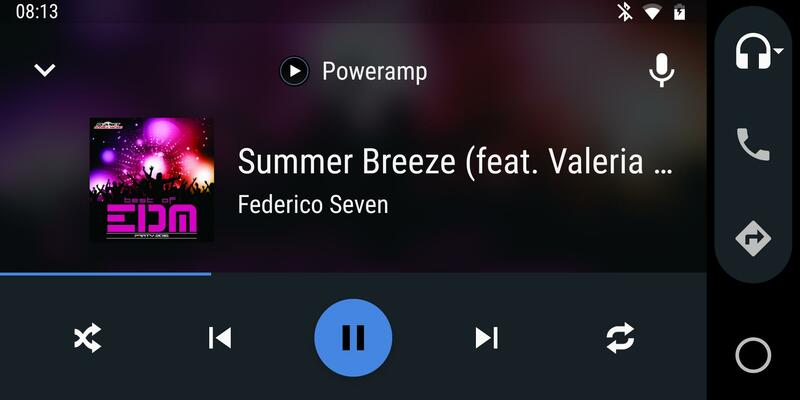 Several other third-party music applications are integrated with the system though, and the famous Poweramp player is the latest one to make its way into your car. The design integrates well with the Auto interface, and Poweramp lets you perform advanced operations on your vehicle's screen such as browsing through folders and playing music from video files. It's nice to see extended features and new apps adapted to Android Auto, but the USD 3.99 premium doesn't bring much additional value compared to other music players or even Google Play Music.